What Screen Do I Want? While it's tempting to assume that 10" screens automatically better for being larger, there are benefits to 7" devices. Not only are they more portable (it's possible to comfortably hold them in one hand - something that may appeal to those planning to use a tablet as an e-reader), but they're often able to make better use of their technical capabilities, because they're managing fewer graphical resources. Rather than the screen size, though, pay attention to the resolution. At a minimum, any device you consider buying in 2013 should have a resolution of at least 1024x768 (or similar), but the higher the resolution, the sharper text and images will be - especially when zoomed in. Apple’s Retina display remains the gold standard for tablets, offering a resolution of 2048x1536 on the iPad third- and fourth-generation’s 9.7” screen. 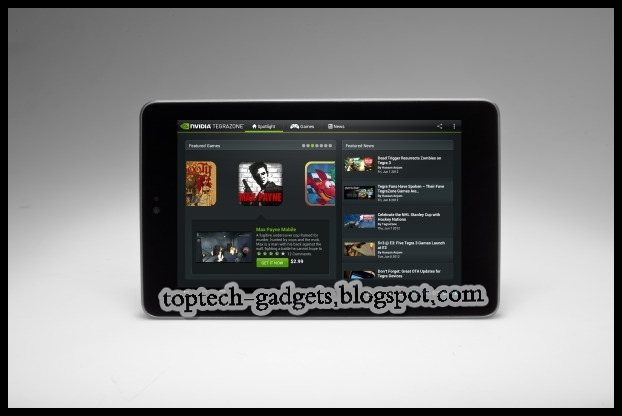 The likes of the Nexus 7 and Kindle Fire HD are better-performing in the 7” device class, however, with their 1280x800 resolution easily trumping the iPad Mini’s 1024x768. How Much Storage Is Appropriate? Storage is one of the most widely varying factors in the tablet market. Tablets use solid-state drives, which are compact, quiet, shock-resistant and less power-hungry than hard drives. That said, the expense of SSD memory means that tablets therefore have much less space than modern laptops and desktops - typically between 4GB and 64GB. The amount of built-in storage cannot be changed or upgraded, although many tablets do have slots for memory cards (usually micro-SD), which can be used to add removable storage. Some notable exceptions to this rule are Apple’s iPad range, no model of which has any provision for removable storage, the Kindle Fire, Kindle Fire HD and the Nexus 7, which will only support SD cards and USB flash drives after a combination of software modifications and additional hardware purchases. The lack of expandable space on such popular devices is something of a contrivance designed to push consumers towards the more expensive, higher-capacity devices. However, the relatively small amounts of storage on modern tablets, combined with their ubiquitous internet connections, has led to an increase in the popularity of cloud storage systems. Apps such as DropBox and SkyDrive allow tablet users to utilise the internet for storage of data, minimizing the trouble associated with a lack of space. Nonetheless, cloud storage is far from a perfect replacement, and even SD cards can prove fiddly. We’d suggest buying a device with at least 16GB if a model is available. That should be enough to last you the two to three years of the tablet’s life without becoming inadequate. When looking for a tablet, you can expect a number of other components as standard, but some vary from model to model or between manufacturers. The amount of memory and storage space often differs wildly, as does support for external devices and flash memory. Portability factors such as battery life, weight and screen size should also be considered. 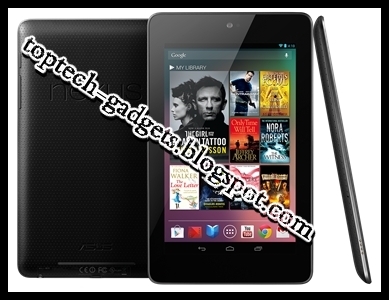 However, as with desktops and notebooks, the processor is perhaps the chief indicator of how a tablet PC will perform. The most popular tablets run on ARM-based Cortex chips, but a minority run on Intel chips, and there’s even variation within both brands. Unlike Intel, which develops and manufactures its own processors, ARM Holdings only designs the chips, then licenses the designs for other companies to produce, meaning that there are often multiple variations of single architectures. The most popular chip at the moment is the Cortex-A9, which is the basis for the Apple A5 & A5X chips (used in the iPad 2 and iPad 3), the Nvidia Tegra 2 and 3 (used in the Google Nexus 7 and Microsoft Surface), and the TI OMAP 4 (used in the Kindle Fire and Kindle Fire HD). While it’s fair to say that devices based on the same chipset have comparable performance to one another, the actual speeds experienced by the user will of course depend on the hardware and software resources available - in particular, the amount of RAM or model of GPU. It is, however, fair to say that the A9 devices are better than the A8 devices, and that the next ARM model (the Cortex-A15) will similarly outclass them both when manufacturers are ready to introduce it later this year. Although ARM processors undoubtedly have the edge, there are a number of tablets running on Intel hardware, and it’s usually Intel, since unlike the desktop market, AMD does not have a major foothold producing Intel-compatible chips for tablets. Intel’s low-power and portable chips allow tablet PCs to run Windows 7 and 8, although at speeds closer to netbooks than laptops. More powerful tablets may contain full-size Core i5 processors, of the kind found in desktops and powerful notebooks. The increased performance capacity makes for a better Windows experience, but they are less compact and consume more power than mobile chips, meaning a worse battery life and a larger, less portable form factor.